I am observing an AD5144 (actually 6 devices tested) not loading its configuration on power-up. On consecutive power-ups the configuration was sometimes loaded sometimes not. 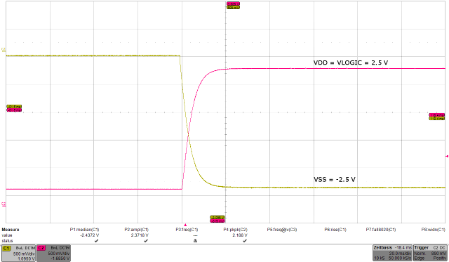 The screenshot of the oscilloscope shows the measured supply voltages during power-up. Has anyone of you an idea on how to solve this? 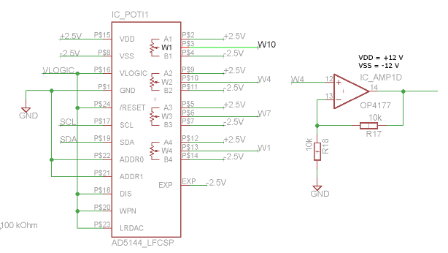 all A and B terminals are directly connected to +2.5V or -2.5V. The W terminals are connected to the + terminals of an OP4177 operated by +/-12 V.